Production of high precision finished components since 1992, often in difficult to machine materials, in both large and small quantities, quickly, using a variety of in-house milling, turning, wire and spark erosion techniques, including heat treatment or surface finishing that may be required. All work is carried out under AS9100 quality system ensuring peace of mind regarding traceability, quality and delivery. Excellent quality performance record – closely monitored within the AS9100 system to ensure process and product conformity. Rapid production – we have modeled the business to suit the demands of short lead times. We operate seven days a week with shift patterns during busy periods and we work with reliable suppliers and subcontractors of the highest standard. Good value – with high quality CNC machinery and smart fixtures this enable us to produce parts unattended at night to help keep costs low. 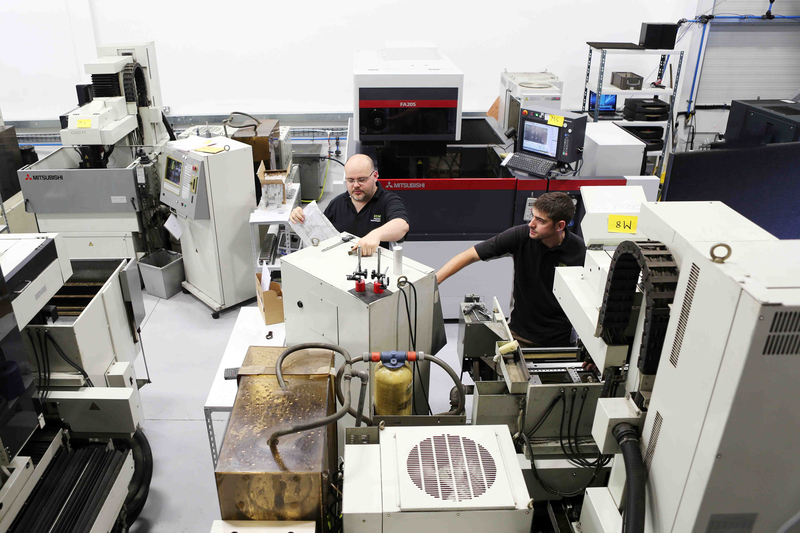 The production of precision components from one off development parts to the supply of high volume repeat orders. Customers ranging from Ultra small enterprises to multi-national corporations, in markets including Motor sport, Aerospace, Defence, Medical and Automotive.